Poses and Recipes to Promote Weight Loss and Vitality-for Life! From the founder of YogaFit™, one of the world’s leading mind-body education and yoga training organizations, comes a revolutionary approach to weight loss and wellness. • a one-week jumpstart plan outlining precisely what to eat and how to exercise your body and mind! 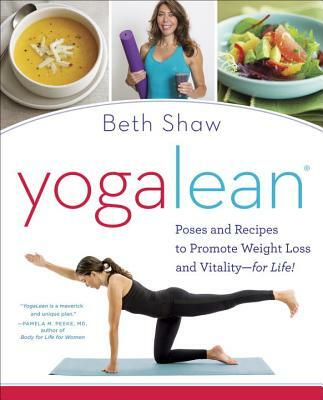 Beth Shaw is the president and founder of the world-renowned YogaFit™ training systems and the author of Beth Shaw’s YogaFit. She and her company have been featured in O: The Oprah Magazine, Time, More, Entrepreneur, Yoga Journal, Glamour, Self, and USA Today, as well as on CNN, NBC, CBS, Showtime, and E! Entertainment Television. She lives in Beverly Hills, California.